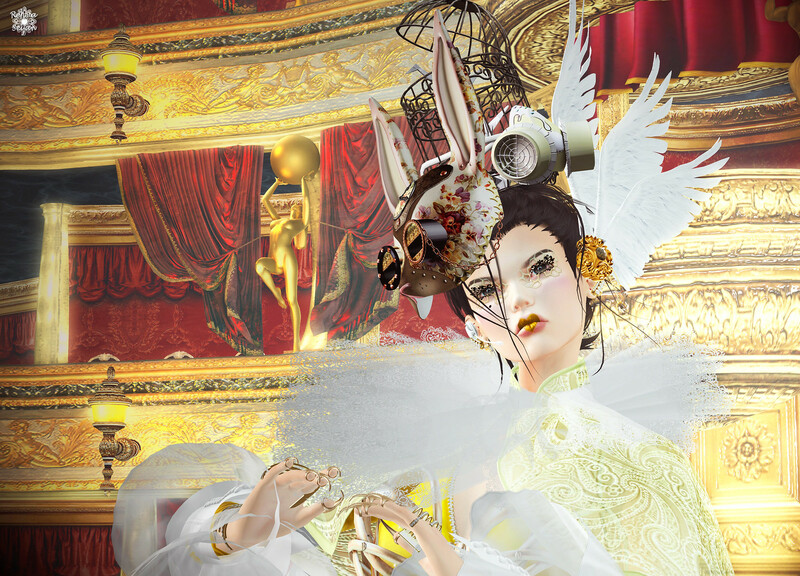 MISS SL ♛ Japan was inspired by the hair make-up artist Tadashi Harada and a photo of Tim Walker. She added a futuristic essence with a gold leather corset to the traditional pierrot silhouette. With this styling she expresses anxiety about the future and yet, hope that will never disappear, too. She gently added a folding crane, a symbol of peace, in the motif expressing anxiety. Although the world is unbalanced, nobody can deprive of hope from the world. MISS SL ♛ Japan picked yellow as her primary color. Besides it, she uses gold, green and white.